If there’s going to be an historic flood in the United States that requires the full measure of Federal response and recovery assistance, it might as well be in Texas and neighboring Louisiana. That’s not to wish such devastation on the property and people, many of whom will struggle to achieve normalcy over a too-long recovery. It is recognition that the oil and gas-rich Gulf region has more than fossil fuels going for it. It has government power in Washington and more BTUs of it than have most other parts of the country. Ted Poe (R-2nd TX) is in his 7th term, on Judiciary, subcommittee chair on Foreign Affairs, and co-chair of the House PORTS Caucus. John Culberson (R-7th TX) is in his 9th term, and a subcommittee chairman on Appropriations. Kevin Brady (R- 8th TX) is in his 11th term, chairs the House Ways & Means Committee and is leading the drafting of new US tax policy, which President Trump claims as one of his very highest priorities. Al Green (D-9th TX) is in his 7th term, and a ranking minority member on Financial Services. Randy Weber (R-14th TX) is in his 4th term, on Transportation & Infrastructure, and a subcommittee chairman on Science. Sheila Jackson Lee (D-18th TX) is in her 12th term, on Budget, and is a ranking minority member on Homeland Security. Pete Olson (R-22nd TX) is in his 5th term, on Energy & Commerce, andco-chairs the Congressional Refinery Caucus. Blake Farenthold (R-27th TX) is in his 4th term, a subcommittee chairman on Oversight & Government Reform, and on Transportation & Infrastructure. Gene Green (D-29th TX) is in his 13th term, a ranking minority member on Energy & Commerce, and co-chairs the Congressional Natural Gas Caucus. Brian Babin (R-36th TX) is in his 2nd term, on Transportation & Infrastructure, and chairs the Space Subcommittee that is important to the Houston Space Center. Mike Johnson (R-4th LA) is in his 1st term, on Natural Resources. Ted Cruz (R-TX) is in his 2nd term, and is on Senate Armed Services and chairs the Space Subcommittee on Commerce, Science & Transportation, which also has jurisdiction over the Coast Guard and other maritime matters. John Kennedy (R-LA) is in his 1st term, on the Senate Appropriations, Budget and Small Business Committees, and served five terms as Treasurer of his State. Bill Cassidy (R-LA) is a medical doctor in his 1st term and on the Senate Energy & Natural Resources and Finance Committees. John Cornyn (R-TX) is in his 3rd term, is on the tax-writing Finance Committee, and is Majority Whip, the second highest Republican leader in the Senate. Beyond John Cornyn’s considerable leadership post, certain of the above committees will or can prove useful in the weeks, months and years of the recovery, some more obvious than others. Appropriations, Agriculture, Armed Services, Transportation & Infrastructure, and Small Business stand out but even being on Energy and Homeland Security panels can be useful in times like these. Likewise, the tax-writing committees where revisions to the tax code are being drafted. Needless to say, it also helps to be a Republican, from a Republican state, when the White House and levers of government also are in Republican hands. Jeb Hensarling (R-TX) chairs the Financial Services Committee that oversees the banking and investment communities and in September will be taking to the House floor legislation to reauthorize and amend the National Flood Insurance Program. The timing couldn’t be better. Pete Sessions (R-TX) chairs the powerful House Rules Committee that decides, with top Republican leadership, what bills and amendments are allowed to be considered by the full House. Michael McCaul (R-TX) chairs the Homeland Security Committee that has jurisdiction over Federal emergency response programs and Customs & Border Protection, whose personnel have been on the front line of the response to Harvey and are important in port commerce recovery. Garret Graves (R-LA) chairs the House Water Resource & Environment Subcommittee that has jurisdiction over the Corps of Engineers, whose engineering resources and funding are vital in clearing navigation channels, evaluating the structure of dams and levees, and studying improvements needed to better prepare the region for flood events. Kay Granger (R-TX) chairs the Defense Appropriations Subcommittee. Pentagon resources have been on display in rescue efforts. John Carter (R-TX) chairs the Homeland Security Appropriations Subcommittee, which funds the Coast Guard, FEMA and other DHS agencies in its jurisdiction. It is an impressive list that doesn’t include some other members of the Texas delegation who have subcommittee chairmanships not useful to mention here. Nor, as is apparent, are there Democrats listed with top party leadership posts. There are none in those states. Nor, as a consequence of their minority status, do they have committee chairmanships. My Committee stands at the ready to provide any necessary additional funding for relief and recovery. We are awaiting requests from federal agencies who are on the ground, and will not hesitate to take quick action once an official request is sent. Not all that long ago U.S. ports—principally through the public port authorities—were minor and largely absent players in the Federal transportation policy discussion. Port authorities and marine terminals engaged attorneys who tended to the infrequent channel project and to regulatory matters before Federal commissions. Seaports were (and still are) creatures of states and municipal level government. There was no Federal funding to speak of. Ports were assisted in the form of navigation channels constructed and maintained by the U.S. Army Corps of Engineers through the Civil Works program—a program in the control of legislators, who reserved the authority to approve projects, and engineers, who were told to implement the projects. Even in the case of port channels the appropriated sums did not go to port authorities but were cycled within the Federal government and to its contractors. Back then U.S. maritime related policy was tightly focused on promoting U.S. flag shipping, American shipyards and American crews. Ports were in a policy no-man’s-land between the water and land modes. In its early years the U.S. Department of Transportation had maritime jurisdiction through the U.S. Coast Guard. USDOT was all about building the interstate highway system and tending to railroads, aviation and mass transit. It was not until 1981 when the Maritime Administration moved into USDOT after 31 years in the Commerce Department. Even then the agency continued to be concerned with vessels, not ports and harbors. By 1980 only a handful of ports had need for Washington representation focused on Capitol Hill and transportation programs and policy, beyond that provided by the American Association of Port Authorities (AAPA). The 1980s were a time of change. Transportation regulation was giving way to forms of deregulation. By the close of 1978 we saw deregulation take hold; railroad, motor carrier and aviation policies were being reshaped. At times ports were very interested stakeholders as Congress ushered in deregulation. If anything, they wanted to be assured of sufficient rail service, preferably the competitive kind. The Shipping Act of 1984 took the maritime sector a few steps toward deregulation, with some implications for harbors, but greater reforms had to wait until the Ocean Shipping Act of 1998. It was not until the mid-eighties that ports entered the center ring of Washington policy deliberation. Most of the Carter and Reagan years constituted a legislative dry spell for water resource bills. Ready plans for navigation improvements and proposed feasibility studies awaited action. “User fee” had a certain cachet in the Reagan years. The message to Congress was clear: in return for the president’s willingness to sign a projects bill some reforms would be required and Federal project costs would be offset. Local project sponsors would have to share the cost of improving channel projects. Port users would have to cover a substantial portion of Federal channel maintenance costs. Defining who was to pay, and how much, divided ports into two opposing coalitions. It was not a lasting split but it highlighted differences among the harbors, their physical characteristics, their cargo volume, and their cargo kind. The resulting Water Resources Development Act of 1986 was landmark legislation that reset navigation and other water resources policy. It also triggered an awareness on the part of ports to be present and active in Washington, both through individual representation and associations. In the 1990s the Department of Transportation developed an interest in the port sector and the condition of water and land access routes to marine terminals. The department’s jurisdiction did not include the system of channels–and the Corps of Engineers jealously guarded that historic jurisdiction–but it rightly saw the importance of efficient access to the port facilities regardless of the mode taken. Moreover, port and other freight interest groups collaborated in calling on policy makers to give their attention to freight mobility. In 1991 Congress enacted surface transportation legislation–its prior iterations known simply as “the highway bill”–and in doing so finally adopted intermodalism as a desirable direction for policy. The Intermodal Surface Transportation Efficiency Act of 1991 did not create an avenue for Federal aid for port facilities but it did hint at a line that would be crossed years later, when Federal dollars helped make improvements inside the terminal gates. The ISTEA sausage-making experience inspired trade groups to form the Freight Stakeholders Coalition. In the twenty-five 25 years that followed the coalition celebrated some successes and today is still at work looking to strengthen Federal freight infrastructure policy. One of the first intermodal efforts by USDOT, in conjunction with the National Academy of Sciences’ Transportation Research Board, was to examine the state of access to ports by the land modes. TRB’s 1993 report, Landside Access to U.S. Ports was followed the next year when the ISTEA-created National Commission on Intermodal Transportation published its report, Toward a National Intermodal Transportation System. The case was being made with evidence mounting. In 2000, the results of another congressional mandated study was reported by USDOT on National Highway System Intermodal Connectors. Freight infrastructure as it led to and departed from marine terminal areas was in poor condition. Actually doing something about it had to wait a while longer for SAFETEA-LU (2005) and MAP-21 (2012). One other marker along the policy path deserves mentioning. In 1997 Transportation Secretary Rodney Slater initiated a look into what he referred to as the “marine transportation system,” which by definition is port-centered and extends beyond the terminal gate to include the access modes and intermodal operations. USDOT convened stakeholder sessions in port cities and then a national conference on the MTS. The resulting 1999 report–An Assessment of the U.S. Marine Transportation System—included recommendations, among them the facilitation of landside access to ports and the formation of an interagency Committee on the Marine Transportation System and a stakeholder Marine Transportation System National Advisory Council. Those and certain other recommendations were implemented and have contributed to improvements in both freight operations and the port policy discussion. In September 2001 the rationale for port security measures was instantly revised, making it so much more than a matter of smuggling and cargo theft. Securing both the ports and vessels took on an urgency that made for a sharp learning curve for government and private sector alike. A ship entering a port represented a new vulnerability for the U.S. For a start, Congress produced the Maritime Transportation Security Act of 2002. The Coast Guard was given new responsibility, multi-stakeholder port security committees were formed, and facility plans were required. Fences and cameras went up where there had been none. The Transportation Worker Identification Credential (TWIC) was created for the maritime sector. 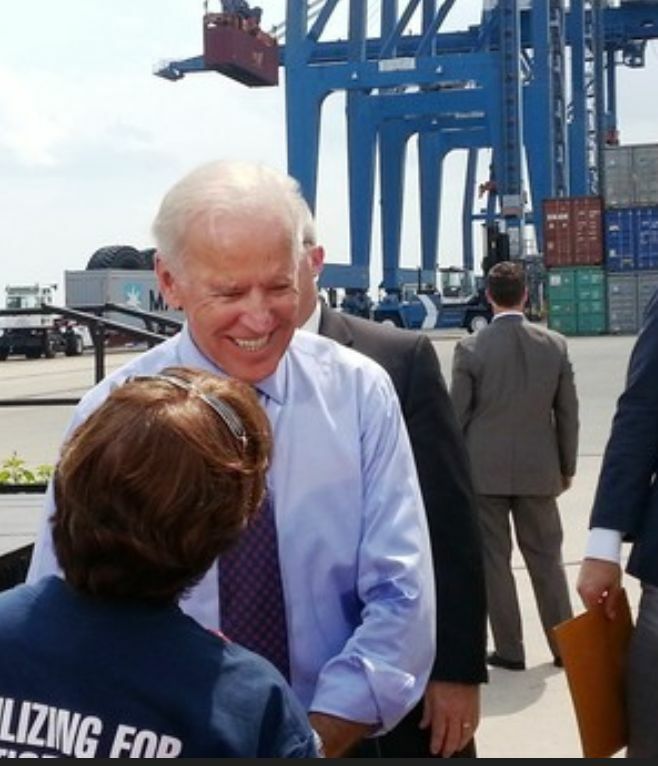 The Port Security Grants Program was created and before long it was funded annually at $400 million, the dollar level being a particular success of the ports’ American Association of Port Authorities. Then, in 2009, the severe recession prompted the new administration and Congress to formulate an economic stimulus package that included a $1.5 billion dollar competitive grant program for “shovel ready“ construction projects. What came to be called TIGER grants were awarded not just for the usual road and transit systems but also to ports and heavy rail. Freight related projects snared a third of the grants to the surprise of everyone including the folks at USDOT who realized that freight investments could be evaluated in cost/benefit terms more readily than the usual stretch of highway or transit rail. To date, TIGER grants have gone to 24 port projects in 16 states for a total of over $344 million in Federal funds alone. Today the Federal government takes great interest in ports. They are seen as vital gateways for U.S. exports and critical modal connectors that when not functioning well can diminish American competitiveness. They are potentially vulnerable to terrorist attacks and are bell-weathers for our economic well-being. And they make impressive backdrops for politicians.